The Canada C3 expedition vessel is a 67 metre (220 ft) Canadian-flagged research icebreaker. A former Canadian Coast Guard vessel, she has a distinguished legacy serving Canada and Canadians. 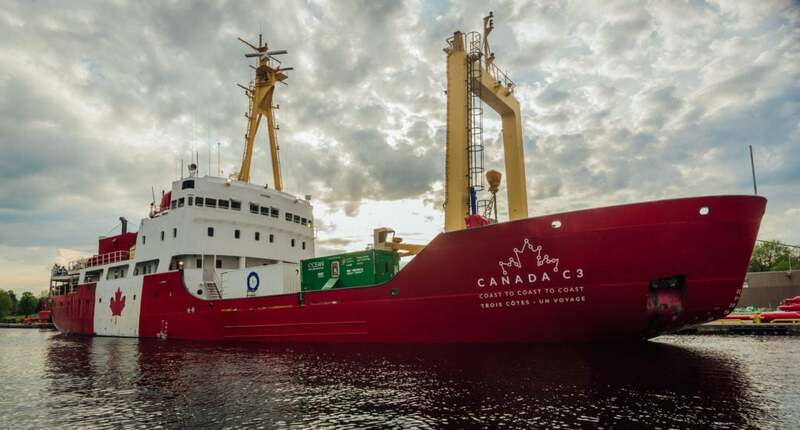 The vessel is connected to Canada and the world via the latest satellite technologies, enabling Canadians from coast to coast to coast to experience the Canada C3 journey. Outfitted with Zodiacs (small boats), advanced navigation equipment, research labs, multiple decks and a top deck observation area, our vessel is purpose-built for passenger experiences in remote environments. The Canada C3 ship features a Legacy Room. This room was created for the Canada C3 Expedition as an intentional and safe space to discuss reconciliation and reconcili-ACTION. 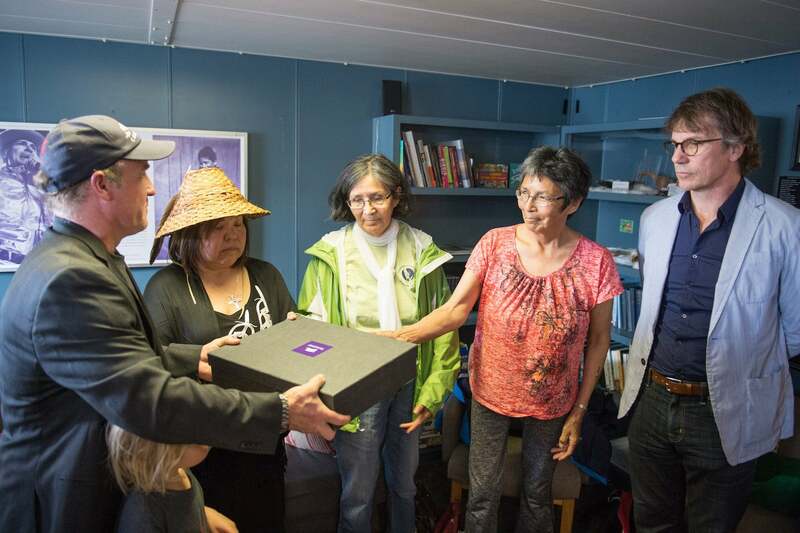 The Legacy Room idea was conceived by Nova Scotia Assembly of First Nations (AFN) Regional Chief Morley Googoo, who partnered with the Gord Downie & Chanie Wenjack Fund to create this national call to action to organizations to create space for reconciliation. Intention: The Legacy Room is for everyone – it’s yours, mine and ours. Our Legacy Room is a place that invites and supports ceremony and helps shape the protocol for the Canada C3 journey. It is intended to provide space to conduct ceremony, to read, to reflect, to discuss, to debrief, to counsel or to process. It’s also a place to share your thoughts on reconciliation in many different ways. The conversations aren’t always easy, and there are multiple perspectives and diverse lived experiences that shape the ongoing interpretation and understanding of reconciliation. Resources: Our Legacy Room contains a variety of resources and materials to support discussion and learning. This includes a library filled with a wide variety of books, magazines, adult colouring books (plus markers and coloured pencils), comic books, games and musical instruments, including a drum, reflecting the diversity of First Nations, Inuit, and Métis history and culture. It also includes artwork from Indigenous artists across Turtle Island – from every province and territory. Ceremonial Display: Our Legacy Room contains a beautiful array of First Nations, Inuit, and Métis ceremonial items housed in the glass display units.